​Pluckfastic is much more than an organization. Pluckfastic is a movement! Aimed to end the abuse of single use plastics, and elevate consciousness toward the plight of the oceans being choked by plastic. We can create change. Join or start your own local chapter! Welcome to the So-Cal chapter. Activated by yogis in Santa Monica, this chapter charts blueprints instigating hunting & gathering missions in our bay, pluckingfastic from the water, and reclaiming into usable products. We offer our mission menu to companies, organizations, clubs, and families looking to get involved in solutions to marinecosystem decline. Choose your own adventure! Hop aboard, or on a board, or pluck the beach, if you please. Dependent upon your number of participants, and deepest desires; we have a solution for you. To find out more, or to schedule your personalized adventure email: pluckfastic@theseachangeagency.org! Check out the facebook or instagram page - the chronicle of the journey, the victories, the obstacles, the adventures, the wisdom. please stay tuned! 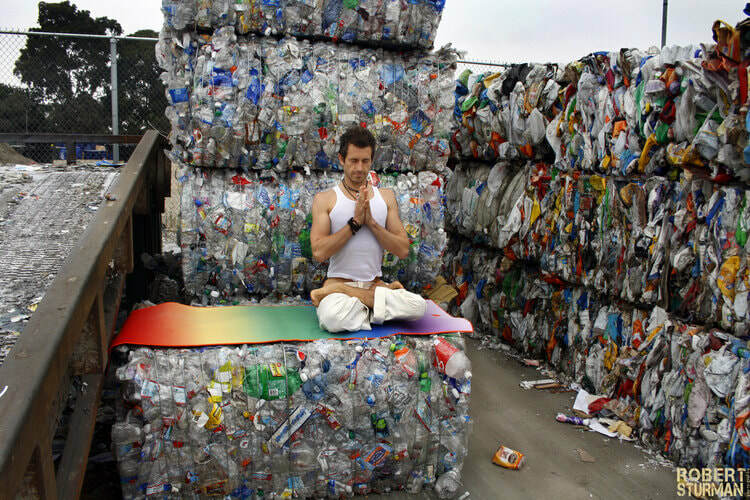 "We continue to elevate consciousness to the fact that single use plastic is in no way sustainable, and in fact ludicrous. Why in the world would we create something that lasts forever, to use for five minutes?" Join the NavasanaNavy, or become a member of the SUPperclub today!